7 Best Bible Journaling Deals for Black Friday + Giveaway!!!! What are the best Bible journaling deals for Black Friday? You might be surprised that some of the best Bible journaling deals will be before Black Friday as many retailers are getting a head start on the Christmas buying season. 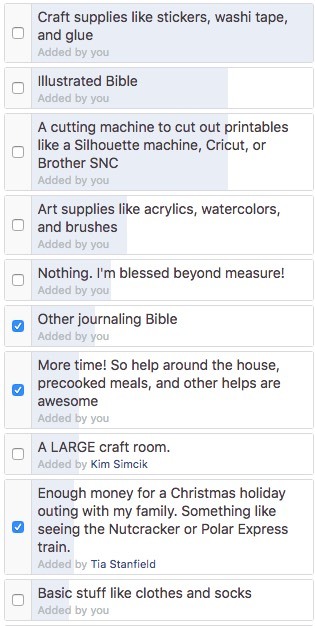 I polled the Bible Journaling for Beginner’s Facebook community to find out what they’d like to have researched where you’re likely to find these items on sale this year. Can you guess what made the top spot? Scroll down to find out, but before you do…make sure you’ve entered our contest to win Bible journaling supplies and faith-based gifts worth over $100! Please note that there are affiliate links in this post. You don’t pay more when you use our affiliate links and it really helps support us. Win Bible Journaling Supplies & Faith-based Gifts! Be sure to follow our Facebook page! That’s where we’ll post the latest deals – including the limited time deals. To get the best deals on Bible journaling supplies you want to shop with coupons. All of the local retail craft stores will have coupons and sales ranging from 40-70% off. DaySpring 30% off: Dayspring is launching their Black Friday sale early this year. Shop their entire line including their Illustrated Faith line. Use code: FRIDAY18 to get 30% off through 11/25 (Excludes Willow Tree and Illustrating Bible). Michaels 30% off: Michaels will have 30% off including sales items on Thursday and 25% off on Friday. You can get your coupon or save gas and shop online here. The best discount on the Illustrating Bible is likely your local Christian retailer. DaySpring will have the most inventory, but their discount codes exclude the Illustrating Bible. Use code: FRIDAY18 to get 30% off at Dayspring through 11/25, but sadly it doesn’t include the Illustrating Bible. Silhouette Cameo 3 – I love mine! You can buy it here http://amzn.to/2zN4C6for you can buy it directly from the manufacturer here. They had an amazing Black Friday sale last year and I expect them to have another great one this year as well. If you don’t want to shop Amazon, it’s likely that Michaels will have die cutting machines at around $199. My favorite place to purchase Bibles is Christianbook.com. Their prices are always less than Amazon unless Amazon decides to run a book promotion. We’ll post that to our Facebook Page if/when it becomes active. I save so much time by employing automation to help me around the house. I love my InstaPot pressure cooker, crock pot, and vacuums that do the work for me. I always recommend that people try to find more time by employing tools that save you time. I love Bible journalers! They’re always thinking of others. Some Bible journalers would love a donation in their name to a worthy cause. Others would love to have money to take their family on a special outing. If money isn’t something you like to give, how about gift cards? Gift cards are so easy to buy, and they’re perfect for the person that’s hard to buy for. Here are the gift cards I recommend for Bible journalers. I’d love to know what’s on your wish list this year! 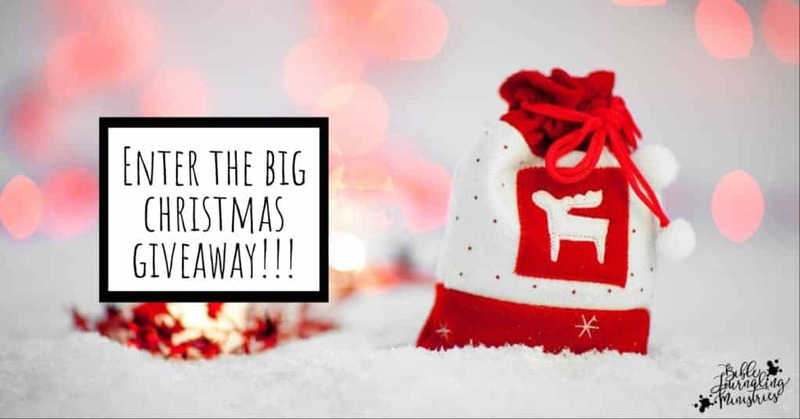 Let me know what you think the best Bible journaling gifts are in the comments below as well as if you know of any other Bible journaling deals this season! My favorite things to receive are gifts made by the grand kids or gift cards so I can get what I want or need. At my age, there’s not a lot of my list – I’m cleaning out . I am, excited to be amounts a group of people who love the lord. Love this idea! The other day my hubby asked what I wanted and the first thing I thought of was the Illustrated Bible! Thank you for all your hard work gathering all of this info! Love BJM and Momentum! Thank you for the research! I will have to check it all out for my Bible journaling group! Tracie…. youre always thinking of others.. especially us, your ladies.. Thank you so much for putting this together for us! May our heavenly father keep blessing you and your family .. HAPPY THANKSGIVING AND A VERY BLESSED CHRISTMAS TO YOU AND YOURS!! You have helped me get started on bible journaling & I thank you for that!! Thanks for all that you do!! Thank you for this wonderful ministry and all the support and encouragement you give. You’re such an inspiration and source of joy, Tracy. I’ve seen the michaels coupon and plan to use it. I’m wanting watercolors. Thank you Tracie for everything you do for the Bible journaling community! I am hoping to get some Gelatos, and other supplies. Thank you for doing this Tracie! I have joined a few Bible Journaling groups but haven’t done much yet, to be honest! Then a sister in Christ in my local community sent me a “hello” on Facebook, which has brought me here! She said she saw me in the Bible Journaling group and that we had a few friends in common. This touched my heart! So here I am to comment and learn about your community. Thank you for this giveaway!! I would love the illustrating bible, but I would rather be able to have more time to be in God’s word. I enjoy following your posts. Thanks for sharing . Adding washi tape to my wishlist . As a mom of young kiddos, I love the suggestion for giving the gift of time. The Illustrating Bible and neocolor 2 crayons are on my Christmas wish list this year. Great ideas & suggestions. Stamps, stickers, & washi are on my list as I’m not gifted artistically. I do want to learn more about watercolors & gelato. These are great ideas!! Thanks for sharing. I actually got the Illustrating Bible by IF on sale at Lifeway for 50% for Black Friday. I was SO happy!!! Good things comes to those who wait…..(patiently for sales/deals)! Lol. The Illustrating Bible is on my list! I just want my child to have a good Christmas. Thank you for the great giveaway and starting this blog! Thank you for taking the time to teach us about Bible journaling keep up the good work. I’d love more Faber castell pens and markers, they’re my favorite. My wish list for this year is to schedule time to develop a deeper relationship with God. Bible journaling helps me to interact in an intentional way and I would really like to become skilled in hand lettering. Merry Christmas Tracie and everyone! I really don’t have any bible journaling supply on my list this year. Tracie you are awesome! I have learned so much about Bible Journaling with your help. I just love watching everything you do. God bless you and your family. I’ve only very recently discovered Bible journaling so I really appreciate this post! Thanks for all the good ideas and links to buy goodies, and for the giveaway as well! I would love to get a Cricut or Silhouette machine for Christmas this year! Thank you for all the information! I have a Cricut Air and will be taking a class or two on it. I would love a scan and cut or an Interleaved Bible, but am happy with any crafting supplies. You are the best teacher! Looked at so many others and then I found you. Took the free course and no question about being a part of Momentum. I have truly grown in faith and creativity these past years and know it is in large part, because of you. Thank you for letting me know about events, activities, and bless you for your sharing and giving heart. Wonderful ideas. My biggest wish is for a “she-shed” where I can spread out and be more creative with my Bible Journaling. I love a good deal. My favorite is FREE shipping. I of course took advantage of the sales and bought another Bible and more washi! Thank you, Tracie for all you do for us in the Momentum group. Your hard work and dedication is much appreciated. Momentum and Bible Journaling and Ms. Tracie are all very awesome! Clear acrylic stamps is probably on the top of my list, but any supplies will be nice! Thanks for all you do for bible journaling. I love your devotionals and the printables. You are so inspirational to me and encourage me to try things. I’m not sure which journaling Bible I would want. All I know is I want wide margins!! I am very new to Bible journaling and I love all of your ideas and printables/kits. Have a very Merry Christmas, and may God bless you immeasurably in the coming year. A gift card so I can go shopping when I want something new! I Love the kits and print outs..I would love gelatos! Traci, I love your Momentum kits! I have quite the Traveler’s NB going with them! I would LOVE the new spiral-bound Ilustrating Bible, but it’s out-of-stock everywhere! So, keeping an eye out for it! Thank you! I love this group and page. I’m learning so much. Thank you. Would love to have a die cutting machine. Love the ideas! I always search and need art supplies! I am addicted! Currently I want a Silloutte and a Cuttlebug. Those are my next “want” items. I absolutely love, love, and love #6 this is so needed and I would love to receive this for Christmas. Thanks so much for the ideas, suggestions and great giveaway. What an awesome giveaway! You are so generous and the winner will be so blessed by this package! Thanks for all you do and MERRY CHRISTMAS!!! I love this site and all of the free goodies that have put me back in touch with the Bible! Thank you so much! Thank you for all the fantastic ideas!! Thank you. I have integrated this into my Children church on Sunday’s. I love this it gives my a better understanding of the bible. I am happiest just to receive anything , great or small ,that is given in genuine love. I am hoping for the IF journaling Bible!!! Any gift is a blessing! Thanks for your love & creativity for us to enjoy! I would love the Illustrating Bible.